Why Should You Consider Buying a New Nissan SUV? Searching for a vehicle doesn't have to be a challenge. If you're questioning what you should buy for your family, consider the benefits offered by an SUV. The additional space for your family and friends is nice, but you can tow more behind your vehicle when you have an SUV since it's a larger vehicle. Many SUVs sit higher off the ground than cars and even some trucks. This means that you can usually take them on an off-road excursion. When you are looking for a sports car, we are here to help you find the one that has all of the features that are best for you and your needs. If performance is important to you, we would like to share the Nissan GT-R with you and help you see how this car will perform as you drive about in West Simsbury. 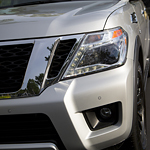 The Nissan Armada is a popular full-size SUV. The Armada is a great way to move cargo, whether that means people or things. It's an efficient and comfortable vehicle, but it packs a lot of power, too. The Armada is one of the best performing SUVs in its category. Are you looking for an exquisitely designed sports car with superior performance? The Nissan 370Z Roadster is a popular sports car. This Roadster has a fourth generation VQ V6 engine with a massive 332 horsepower. The engine has superior performance and continuously variable valve timing. This vehicle has a quicker response and optimizes fuel efficiency. The engine is made with lightweight high-tech materials. It has a strong carbon fiber driveshaft that helps keep the vehicle lighter and faster. 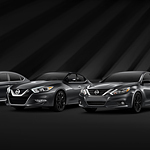 Hoffman Nissan proudly provides West Simsbury drivers with the vast selection of sought-after new Nissan Cars and SUVs to choose from when shopping for their next vehicle. However, purchasing the latest generation of models like the Nissan Rogue, Nissan Maxima and Nissan Murano can prove strenuous to some drivers' budgets. Assisting drivers in purchasing or financing their ideal new Nissan model, Hoffman Nissan proudly offers a selection of new 2018 Nissan models, in limited stock. Innovative, powerful and stylish, the latest iteration of the Nissan Altima surges past the competition with effortless composure. New Nissan SUVs boast unique degrees of style, efficiency, convenience and composure due to the innovative engineering and attentive craftsmanship featured within every model. With models like the Nissan Rogue featuring an advanced continuously variable transmission with Xtronic amending the lean yet powerful 2.5-liter engine, drivers receive an exceptionally smooth ride quality without sacrificing an engaging driving experience.